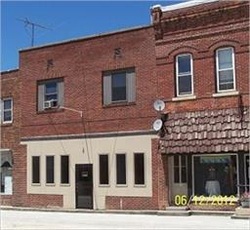 FOR RENT: 104 W. Center St. - Monona Chamber & Economic Development, Inc.
Great news . . . this property has been LEASED! Monona's hometown newspaper The Outlook moved into this storefront eff. 1/1/19 and their printing services complement next-door neighbor Epic Wear's screen printing and embroidery services business. Congrats to building owner Nate Trappe! 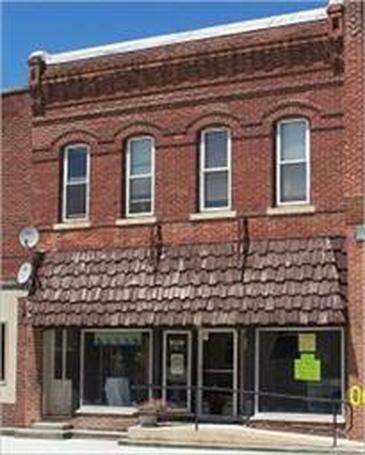 FOR RENT: Affordable downtown storefront property formerly used as a retail space and would make a great office or retail location. Great location near Knockel's Floor Covering; Sincerely Yours, Interiors by Kay; and, Epic Wear. ​Some utilities included. For more information, contact Nathan Trappe at (563) 880-2222. 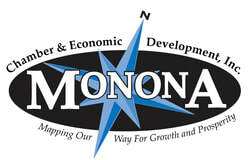 Allen Rental Company is a proud member & long-time supporter of Monona Chamber & Economic Development, Inc.